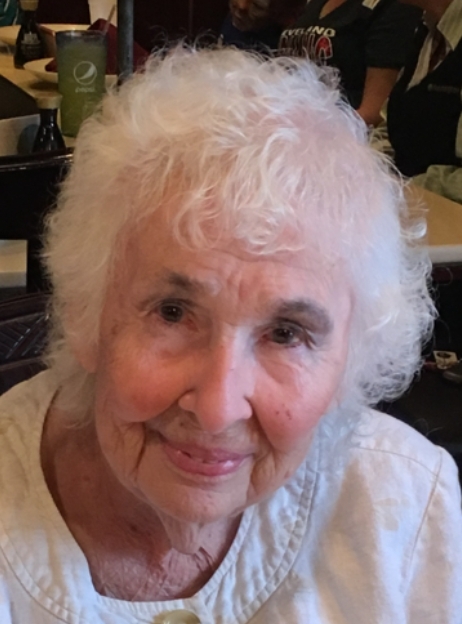 Donna M. Nazor, age 90, resident of Mansfield died Saturday, August 18, 2018 at Crystal Care Center in Mansfield. Born May 17, 1928 in Shelby to Earl and Rilla (Shanks) Briggs she had been a Shelby resident for many years moving to Mansfield in 1989. She was a housewife and a member of the Community Bible Church in Mansfield. She looked forward to playing games with her neighbors on Wednesdays and was very competitive, especially with Chinese Checkers. Donna enjoyed sitting on her porch and feeding and watching the birds. She loved going to church every Sunday then eating out with her good friend Ron Aberts and then going on a Sunday drive. Donna collected frogs and each summer would put out over one hundred as decorations. In addition to her parents was preceded in death by her husband Carl Nazor in 1998; one son Carson Nazor; one daughter Carla (Nazor) Dysert; three brothers Glenn, Wayne and Bob Briggs; two sisters Dorothy (Briggs) Parker, Doris (Briggs) Solinger and special friend Betty Hardin. Friends may call 6:00 PM to 7:30 PM Wednesday, August 22, 2018 at the Barkdull Funeral Home and Crematory in Shelby. Funeral services will be held 10:30 AM at the funeral home on Thursday. Pastor Walter Keib will officiate with interment in Oakland Cemetery in Shelby. Memorial contributions may be made to the Richland County Humane Society at 3025 Park Ave W, Mansfield, OH 44906.